I've been focusing on the natural beauties in Alaska, but there is amazing ice art created from the mother nature. 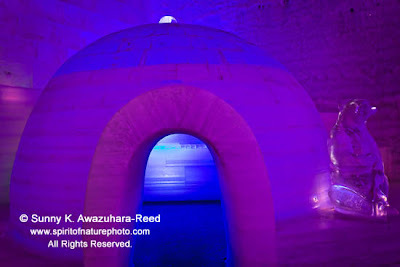 Aurora Ice Museum is located about 60 miles north of Fairbanks, at Chena Hot Springs. 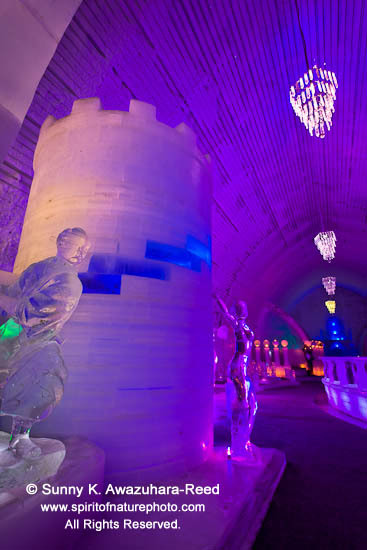 The indoor museum is decorated with gothic architecture, chandeliers, and more than 80 sculptures all created in amazing detail, with ice! There are four hotel rooms within the museum. 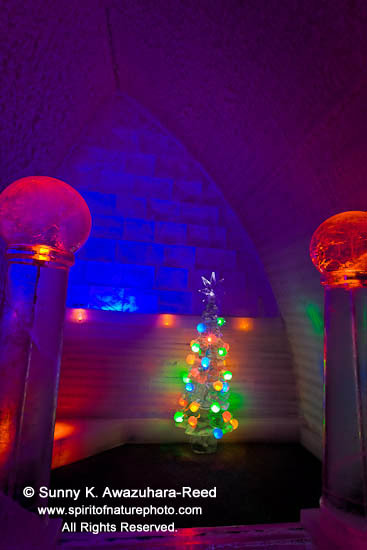 Each room with a different theme: Polar Bear, Christmas, Turret, and the Queen. 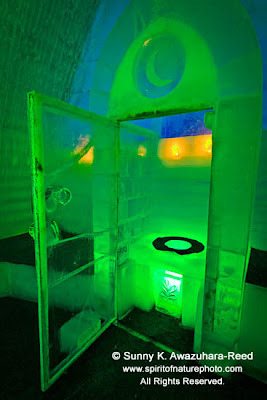 One of the rooms even has an ice outhouse! 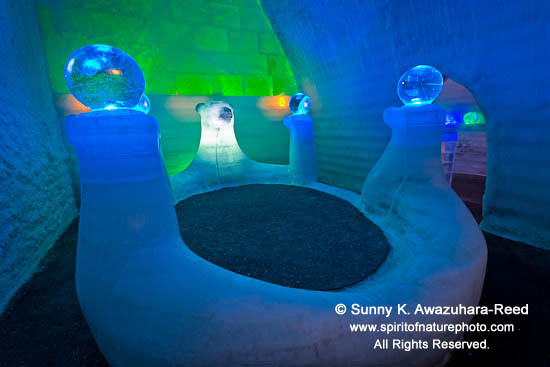 Ice Museum was originally called "Ice Hotel," however, the building doesn't meet the fire code - no sprinklers - so they were forced to rename it "Ice Museum." Fire sprinklers in a Ice Hotel? Sounds like a joke! 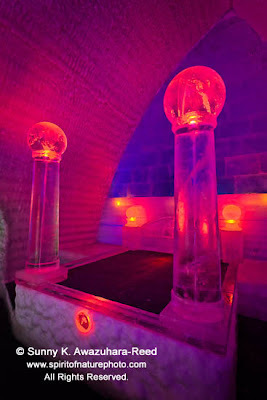 Anyway, guests can still stay at an ice room if they are willing to pay the $575 per night fee. It comes with a regular hotel room (just in case), warm sleeping bags, and the whole ice museum to themselves all night! Note: the ice outhouse is a part of art, guests have to use a real bathroom in their regular hotel room. 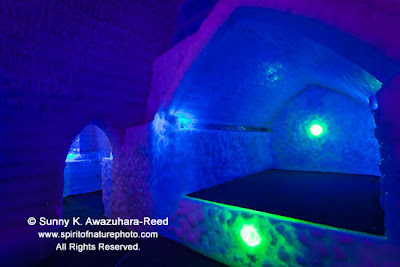 The “Ice Bar” at the center of the Ice Museum is very popular. 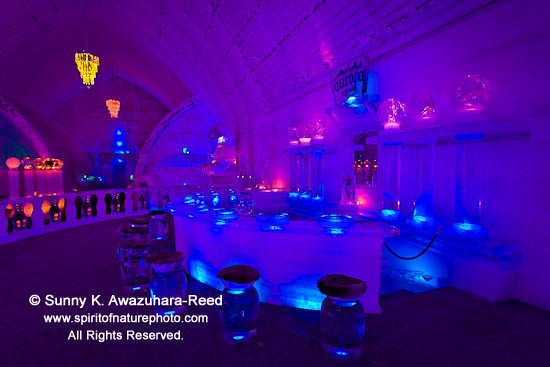 The counter and bar stools are all carved from Ice. 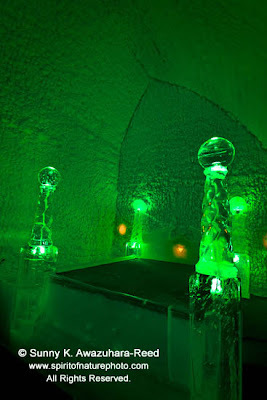 They even serve "Appletini" in a ice carved martini glass! In addition to the ice rooms and bar, there are about 80 ice sculptures in the “Ice museum”. 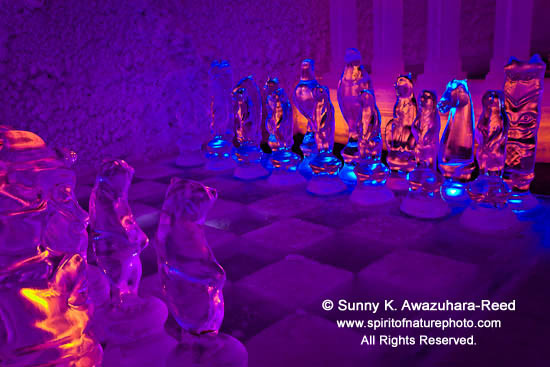 Large knights the horseback, a two-story ice castle tower, an ice chess set and more... all calved using the natural ice from a pond nearby. 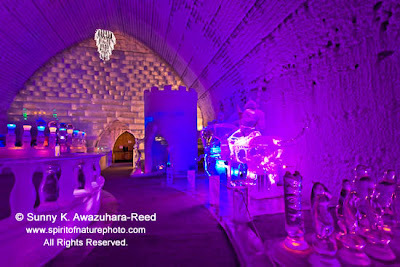 The Ice Sculptures were carved by World Champion Ice Carvers: Steve & Heather Brice with amazing details. Visiting the Ice Museum always brightens my days during the long days of the cold dark winter.